But by learning how to persevere, she made it. Barron is graduating this fall with her Master of Science in plant biology and conservation — something she’s been interested in since middle school. Barron is a returning Arizona State University student. In 2007, she began working on her bachelor’s degree in plant biology and at the time, her children were only ages 2 and 4. Now that she is completing her master’s degree, her kids are 13 and 15. She’s had to juggle dinners, driving, homework help and daily family activities with her own homework and courses. 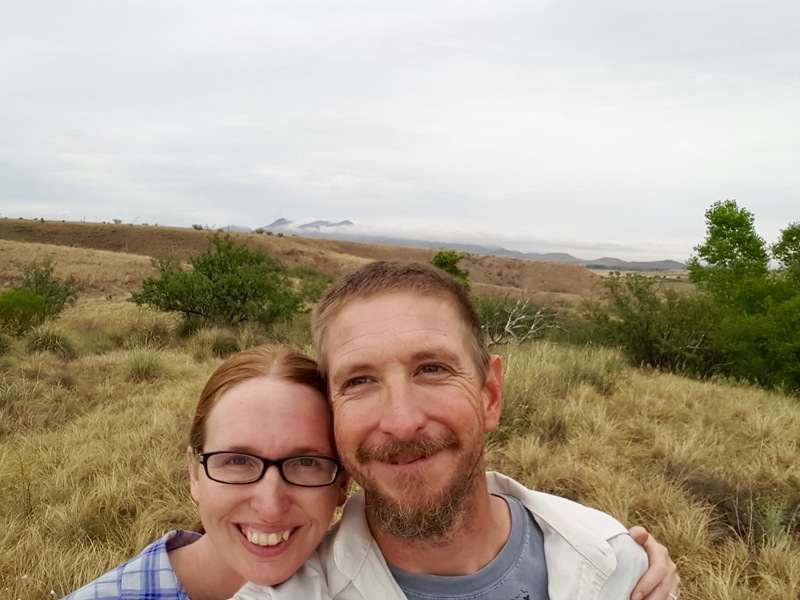 With her husband, John, helping out and by sticking with it, she was able to complete both of her degrees. “It has been a challenge balancing school, work and family, but I am extremely lucky because I have the support of my family,” said Barron. “Our botanical community is also super supportive. I couldn't have done it without that support. "(My children) are glad to have me in a more relaxed state now that this is coming to an end and they are happy to miss school to attend my graduation," Barron said with a laugh. Answer: I have been interested in plants ever since I was in middle school. I became interested in the Wiccan religion when I found a book about it while browsing through a bookstore. It is a nature-based religion, so of course healing with plants was discussed. It really got me thinking about my surroundings and plants, in particular. That is when I really began to understand the importance of plants in every aspect of human life. Plants are taken for granted and generally seen as a backdrop but if there were no plants, then there would be no animals. This particular degree program caught my attention because I was volunteering with the Central Arizona Conservation Alliance to conduct a floristic inventory for Cave Creek Regional Park. A floristic inventory is a catalog of all the plant species that occur in a given area. My task was to wander the park, take pictures of and collect plants in flower and fruit, record information about their habitat and associated species, and then take the pressed specimens back to the herbarium to be mounted and placed into the collection. I led other volunteers on outings with me, too. Someone told me about the program and mentioned that since I was already doing this work, I should also be getting my degree. Dr. Juliet Stromberg agreed to take me on as a student so I enrolled. A: Learning about the science behind the genetic modification of plants was an eye-opener for me. It is one of those hot button issues that I was starkly opposed to until I took an applied genetics class. While there are some legitimate issues surrounding genetic modification, the science of it no longer bothers me. Instead, I am aghast at the ability of companies to be allowed to patent these modifications even though they are biological in nature. A: I chose ASU because I am an Arizona native and I love the Sonoran Desert. It is my home. A: The most important lesson I learned at ASU is perseverance. I'm not sure that I can pin that on any one professor, but I could say that my entire committee taught me that. They believed in me and pushed me, each in their own ways. A big "thank you" and much gratitude to all of them: Dr. Juliet Stromberg, Dr. Kathleen Pigg, Elizabeth Makings, and Dr. Kimberlie McCue. A: Don't let yourself get isolated. It is too easy to do. Join a club or go to the lab meetings if you are part of or can be part of an active lab group. Find the people you can nerd out with and stay involved. Q; What was your favorite spot on campus, whether for studying, meeting friends or just thinking about life? A: I really enjoyed studying, reading or just walking around the "secret garden." This is the courtyard tucked between Dixie Gammage and West Hall. A: I am currently working on a pilot program to increase the availability of native plant materials for Sonoran Desert restoration and other projects with the Central Arizona Conservation Alliance at the Desert Botanical Garden, the city of Phoenix, the Arizona Columbine Garden Club, Tovrea Carraro Society and the Arizona Native Plant Society. The plan is for this pilot to take off into a self-sustaining program for our region that will increase the diversity of species available to include those that large producers may not find profitable for various reasons. A: Plant conservation! I'm sure that answer surprised you. Haha! What might surprise you, though, is the fact that plants make up more than 50 percent of the listed rare endangered species in the U.S. but receive less than 10 percent of the federal funding available for conservation efforts. A: I am proud that I did it! I made it through and I am doing what I am passionate about. “It is all encompassing so you can do anything with it,” Martin said. 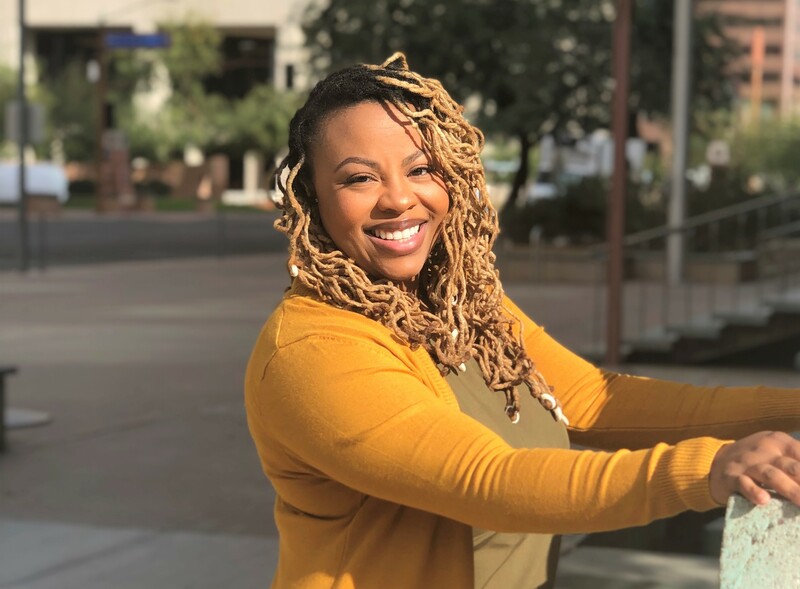 Having spent the last 11 years working in the health care industry in Arizona, Martin was familiar with the flaws in the system, but this degree program helped her identify ways to come up with fixes. “The biggest thing that I learned is the lack of health literacy, people don’t have a full understanding of what it means when they’re diagnosed with something or when they’re given prescription medication,” Martin said. Through her courses, she decided tackling this issue would be a primary focus for her going forward. Now, she’s hoping to create a program that will better help individuals understand their health with an emphasis on prevention. She did all this while working and raising her daughter. Martin admits, there were times where she struggled and wasn’t giving school her all but she maintained, saying her daughter was her motivation. Now, not only is she graduating with her bachelor’s degree but Martin is applying to graduate school as well to continue her efforts to make an impact for the better on individuals' health. Answer: When I started here at ASU, I was coming back to school. I am now 32. I was very surprised to see that the school was very diverse, not one's first thought of racial or ethnic backgrounds, but diverse in age groups as well. I knew coming in that I was going to be the oldest in the classroom and that made me very anxious. I told myself, I am either going to embrace myself and this opportunity or not even try. So I went into my classes with my humor and talked to everyone I could. After my first set of classes, I just knew I fit right in. I enjoyed conversation with any and everyone I could talk to. You never know what you can learn from another individual and I embraced the knowledge from everyone. A: Janet O'Brien saw in me what I didn't see myself. I have always prided myself on my work, but when my family experienced a significant death in our lives, I was worried about my family. I was stressed about work, my family and for the first time, I put school on a shelf. This was the first semester that I found myself not caring and not trying, which truly isn't me. Halfway through the course I found myself and worked hard to get the best grades I could get. For the class I had with Professor O'Brien that was a B. I received an email from Professor O'Brien stating "I just wanted to drop you a line because I was surprised by something. When I post grades, I rarely feel that the grade I'm posting doesn't match a student's ability. Your grade is one exception. As I stated in my feedback for your final project, I was impressed by your ideas and work." This email reminded me of what I was doing and why I was doing it. It also showed me just how much some teachers care. Professor O'Brien has allowed my work to be an exemplar of ideas to come. It always means something when someone outside of your greatest fans recognizes your greatness and tell you it's there. While this semester was hard for me, I found a meaning for my work during this time. A: My favorite spot on campus has to be the patio tables outside of the Health South Building downtown. I love that building specifically for the FOOD! My first semester at ASU I took NTR142 Applied Nutrition. It's the class to cook, I was always excited to make something different every week. Whenever I have time between classes I would go see what the other classes were selling for lunch. They always had something new and fun to try. The patio provided shade and a chill place to enjoy the desert weather and do some homework while enjoying whatever playlist I had going on that day. A: It's funny how plans change. I just finished all of my essays for my application to the Master in Health Innovation (program) when I realized I could apply to the Nursing and Health Innovation PhD program that I envisioned applying to after earning my master's degree. With that being said, I am currently mulling over my different writing samples to submit with my application. I look forward to continuing my education efforts and increasing my network to allow for time to volunteer at a nonprofit to gain more exposure to the communities I want to help. I also plan to continue work on my innovative project for health literacy that I started developing throughout my coursework these past two years. A: With $40 million dollars I can think of three things I could make happen, or at least get the appropriate gears turning for. I would have the necessary funding to put my innovation ideas toward health literacy to work. I see my idea really helping a large population in our communities. Allowing individuals to better take control of their own health and well-being. I would also work to create a nonprofit health center in a low socioeconomic area. The health center would have doctors and nurses that volunteer their time to provide care. The last thing I would do is work on my own research to use toward policy changes in regards to health education across the life cycle. I believe in being able to educate people to understand the importance of living a healthy lifestyle. I would also provide health and nutrition education that would cater to all areas. I want to take people to the place of living a life where you only see the doctor for prevention versus having to take the time to try to treat an acute or chronic condition as they age.